Why must the Torah warn us “not to do thus to Hashem, your G-d?” Might one have thought that we are to likewise destroy holy vessels or the Tabernacle, G-d forbid? One answer offered by Rashi: This is a warning not to erase [any one] of Hashem’s holy names, nor to knock off a stone from the Courtyard of the Tabernacle nor the Altar. Another explanation: The Tanna R’ Yishmael said: Would it enter your mind that Israel would demolish the sacred Altars?! Rather the verse means: Do not act like the nations that are being thrown out of the land, through which your sins would cause the Beis Ha-mikdash [Holy Temple] of your fathers to be destroyed! I.e. cause and effect-by sinning, you will inadvertently cause the Temple’s destruction. Rabbi Ben Tzion Abba Shaul zt”l, Rosh Yeshiva of Yeshivas Poras Yosef one observed a bachur [student] rushing to enter his shiur. Carrying his chair, he knocked into the wall and scraped it. Before beginning, he pointed out to the students that in his carelessness, the student had just transgressed the aforementioned prohibition. Shulchan Aruch (Orach Chaim 152) writes that the synagogues and study halls of Israel are called “Mik’dshei Me’at”-Miniature Temples. Thus, the same caution that must be taken with the Holy Temple must be applied to the shuls and yeshivos in which we daven and learn. “Look at how careful we must be with our actions!” the Rosh Yeshiva concluded. Rashi’s second answer, that this serves as a warning against all types of sin which may ultimately cause the destruction of the Mikdash, demonstrates that we are not only held responsible for the direct results of our actions, but even for their far-reaching repercussions-even for consequences that we may never have considered. We tend to consider ourselves as existing in sort-of vacuum; when (G-d forbid) we sin, we hurt ourselves and our neshamos, but that’s our problem and no one else’s. Not so. Ultimately, we will be put to task for all the repercussions of our actions, even those of which we are completely unaware and blissfully ignorant. A similar concept emerges from a Gemara in massechta Gittin. The Mishna (Gittin 34b) writes that originally when a widow came to collect her belongings and her share of her husband’s property, it was required that she take an oath that she had not received anything previously (which would mean she is now entitled to less). However, the Mishna writes, the beis-din, out of concern for the extreme punishment for taking a false oath, withheld from administering it, lest she inadvertently swear falsely. The Gemara (ibid. 35a) tells the story of a widow who once took a golden coin from a man for safekeeping. She placed it in her flour jar (who would think to look there!? ), forgot about it herself, and ended up baking it into a loaf of bread which she gave to a beggar whom she used to help. When the man came to collect the coin, she couldn’t find it. To allay his suspicions that she had pocketed the money, she swore, “May death-poison have its effect on one of my sons if I received any pleasure from your money!” Soon after, one of her sons passed away. But, the Gemara questions, had she not told the truth-she indeed hadn’t derived any benefit from the coin? Not true, they answered. She ended up saving herself a bit of flour because the coin inside the loaf took up space that would otherwise have been filled with her flour! Tosafos (ibid.) ask that when one takes an oath, he/she can not be held responsible for a false oath if he had no way of knowing he was swearing falsely and took the oath in good faith. She had no idea that she had inadvertently saved herself flour as a result of the gold coin-so why was she punished? Tosafos’ answer is truly frightening: True, at the time of her oath she was completely blameless. However, at the time she accepted his coin for safekeeping, she knew that if the coin were to be lost, she would be required to swear. Bearing this in mind, in light of the seriousness of swearing, she should have been more careful where she hid the coin, and having placed the coin in a flour jar where it was possible it would get lost, she is considered negligent with regard to the oath she eventually took, although the oath itself was taken in good faith. This is why she was punished. R’ Chaim Velozhiner zt”l writes (Nefesh Ha-Chaim 1:4) that the main purpose behind building a Temple and sanctifying it is to teach us how to sanctify ourselves. A Jew, too, is called a miniature Mikdash. Sefarim give expression to this concept from the wording the Torah uses when commanding us to build a Tabernacle: “Let them build me a Mikdash-and I will dwell in them.”(Shemos/Exodus 25:8) It doesn’t say I will dwell in it but rather in them! The Holy Zohar (1:84b) writes that the heart of a Jew is the human embodiment of Kodesh Kodashim, the Holy of Holies. It stands to reason; if his body is the Mikdash, then his heart is its nucleus. If so, if we sin, it’s as if we’re causing the Beis Ha-Mikdash to be destroyed once again. (See Nefesh Ha-Chaim who writes that a Jew with one unclean thought causes far worse destruction that Titus did when he entered the Beis Ha-Mikdash and defiled it.) When we hurt another, it’s as if we’ve broken off a stone from the Altar, or worse, caused Hashem’s name to be erased. Conversely, and far more so, when we do mitzvos, we rebuild the Beis Ha- Mikdash (“and rebuild it, speedily, with our days-i.e. Hashem uses our days and the mitzvos we perform in their course to rebuild the Holy Temple). When we treat others with respect, greet them with joy, and encourage them, we are giving honour to the Temple, and fulfilling the mitzvah of kavod and morah Mikdash. 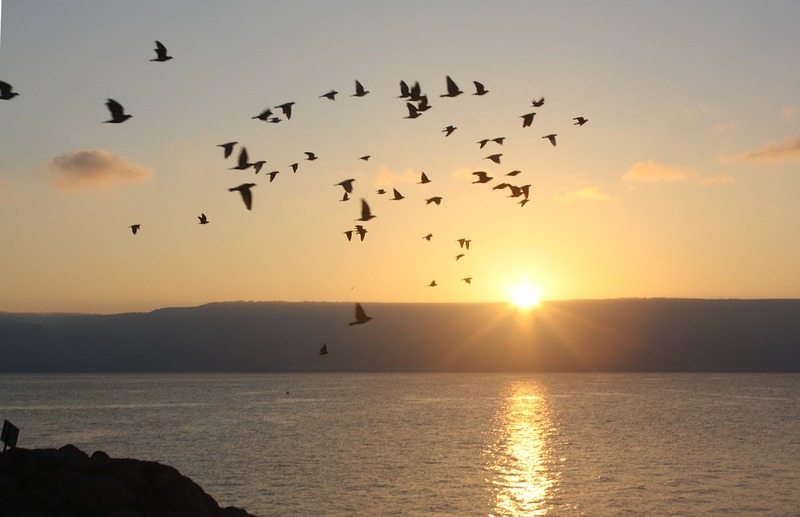 During the month of Elul, days set aside for introspection, soul- searching, and repentance, it is especially important that we give consideration to the concept of the Mikdash in every one of us, both as it applies to ourselves, and how we approach others. May the time and effort we devote to mending our personal Temples be the precursor of the rebuilding of the Beis Ha-Mikdash atop Har Ha-Bayis in Yerushalayim!